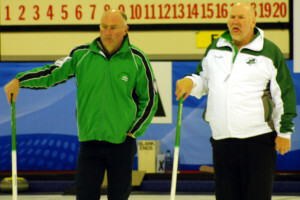 IN a must win game against Finland in the fifth draw in the European Mixed Curling Championships at Edinburgh’s Murrayfield Ice Rink, the Irish team of Robin Gray, Louise Kerr, Johnjo Kenny and Hazel Gormley-Leahy went down 7-3 to Finland. The loss of three shots at the sixth end proved to be the killer blow and came to late in the game for the Irish to muster a reply. After losing a single in the seventh the teams shook hands. Fuller report on the last two games tomorrow.